The family of an unarmed black motorcyclist who was gunned down by a Washington, D.C., police officer in September has filed a lawsuit against the Metropolitan Police Department, claiming that the victim was no threat to the officer, Reuters reports. 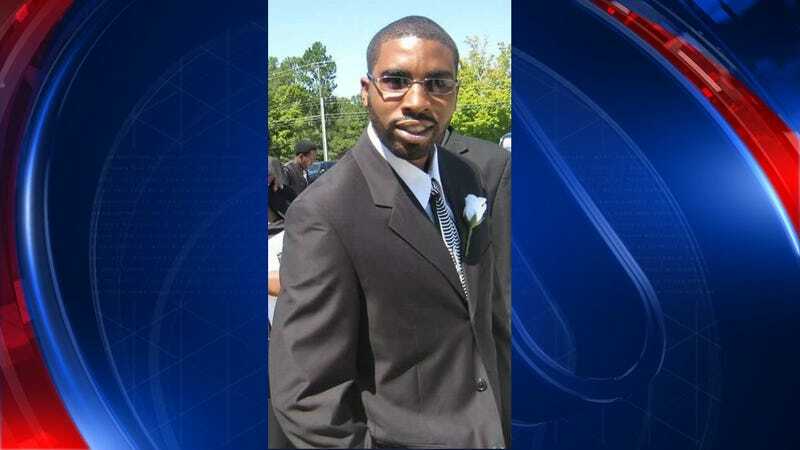 Immediately after the Sept. 11 shooting death, D.C. officials said that Terrence Sterling, 31, was driving erratically and had intentionally driven into the passenger side of a marked police car. The officer on the passenger side of the vehicle shot Sterling to try to stop him, according to officials. However, days later, witnesses said Sterling did not intentionally hit the police cruiser. The Sterling family's lawsuit pushes forward the same claims, alleging that Sterling's motorcycle sideswiped the police vehicle as he tried to avoid the cruiser, which had stopped in an intersection and was blocking his path. The suit, which was filed in a federal D.C. court, claims that the officer involved, Brian Trainer, shot Sterling in his back and neck from "the safety of a police vehicle despite the fact that Mr. Sterling was unarmed and posed no danger to Officer Trainer or any other person." The family is seeking $50 million, claiming wrongful death and negligence. The lawsuit also claims that Trainer and his still-unidentified partner failed to properly activate their body cameras, turning them on only after Sterling was fatally wounded. "The killing of unarmed black men by police officers must stop. Mr. Sterling's death was senseless and tragic—he did not need to die that night," Hassan Murphy, one of the family's attorneys, said in a statement, according to Reuters.